The average cost of memory care in Arcola is $3,700 per month. This is lower than the national median of $4,650. Cheaper nearby regions include Charleston with an average starting cost of $3,145. Caring.com has helped thousands of families find high-quality senior care. To speak with one of our Family Advisors about memory care options and costs in Arcola, call (855) 863-8283. The small town of Arcola is set in the middle of cornfields in the eastern part of Illinois, about 30 miles east of Decatur. Only 20,000 people live in Douglas County, where Arcola is located, and 12 percent of them are seniors age 65 and over. There are just two memory care facilities in Arcola and nearby Mattoon to serve local seniors with Alzheimer's disease and other forms of dementia. Memory care facilities in the state of Illinois must carry a current license from the Illinois Department of Public Health Division of Long-Term Care, which inspects licensed care facilities an average of once a year. Weather in Arcola sees summer highs of 87 degrees in July, but winter lows dip to around 20 degrees in December and January. Arcola gets an average 40 inches of rain and 14 inches of snow a year. The rain can raise a lot of pollen in the cornfields that surround Arcola, which may aggravate asthma for many seniors. The cost of living in Arcola is significantly lower than the cost of living elsewhere in the nation. Families of seniors in memory care in Arcola pay about 23 percent less for living expenses than the national average. Healthcare is roughly 5 percent above the national average rate. Crime is extremely rare in Arcola, even by the standards of small towns in America. Overall, the crime rate is just 15 percent the national average, with violent crimes hardly ever being reported. Years pass in Arcola between robberies and arson, and it is not uncommon for only half a dozen thefts to be reported to police. The Arcola area is home to world-class medical facilities, including those specializing in brain health and dementia care such as Paris Community Hospital and HSHS Good Shepherd Hospital, in the event of medical emergencies or illness. Memory Care costs in Arcola start around $3,700 per month on average, while the nationwide average cost of memory care is $4,799 per month. It’s important to note that memory care rates in Arcola and the surrounding suburbs can vary widely based on factors such as location, the level of care needed, apartment size and the types of amenities offered at each community. Arcola and the surrounding area are home to numerous government agencies and non-profit organizations offering help for seniors searching for or currently residing in an assisted living community. These organizations can also provide assistance in a number of other eldercare services such as geriatric care management, elder law advice, estate planning, finding home care and health and wellness programs. To see a list of free memory care resources in Arcola, please visit our Assisted Living in Illinois page. 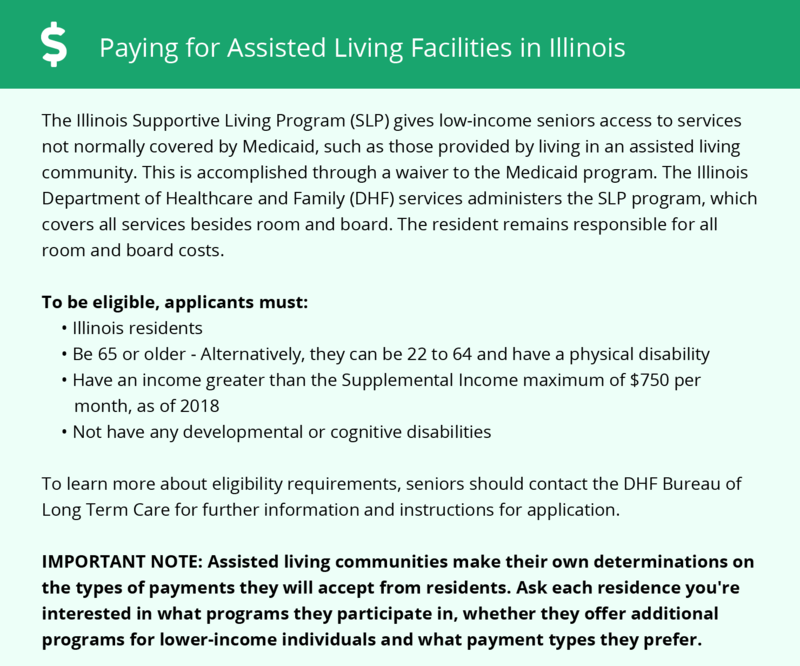 Arcola-area assisted living communities must adhere to the comprehensive set of state laws and regulations that all assisted living communities in Illinois are required to follow. Visit our Memory Care in Illinois page for more information about these laws.